It's about time. All About Eve is one of those stories that, once seen, is never forgotten. It's subtle, clever, and timeless. Gillian Anderson is one of the most respected actresses of our time, star of the X Files and countless great TV, film and stage productions. 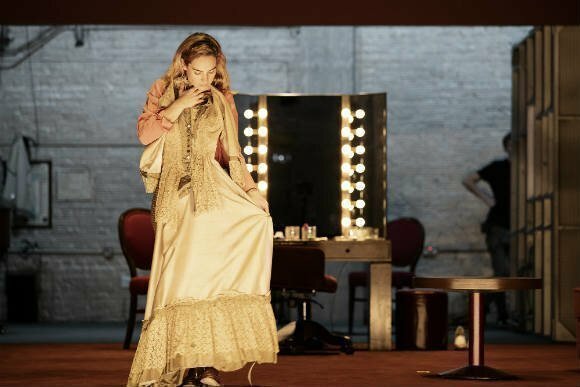 Mix them together, add a brilliant dash of Lily James and you get a stage show you really won't want to miss. Anderson plays Margo Channing, a respected Broadway star who, at 40, is secretly worried she's past her prime. Lily James plays the seemingly naïve fan Eve Harrington, an ambitious actress who insinuates herself into Channing's life. She might seem sweet and nice, but she's actually a monster, a woman who ultimately wrecks her idol's career, relationships and life. The original movie gathered an extraordinary 14 Academy Award nominations and actually won six, including Best Picture. It remains the only movie to win four female actor nominations. In 1990 the film passed into the annals of history for good, chosen for preservation in the US National Film Registry and one of the first 50 registered. Roll forward time to 1970 and All About Eve inspired the stage musical Applause, with a book by Betty Comden and Adolph Green, lyrics by Lee Adams, and music by Charles Strouse. The marvellous Lauren Bacall played Margo and grabbed a Tony for Best Musical. Broadway adored it. Now it's back for 2019, still a classic, just as potent and powerful as ever. 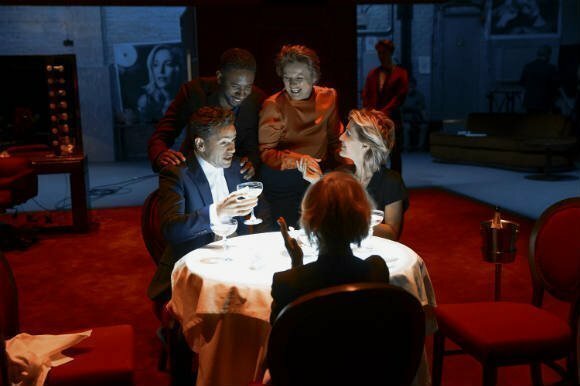 The West End premiere takes place in early February and the plot has been specially adapted for the stage by the splendidly clever Ivo van Hove, who also directs. The show tunes come from the brilliant PJ Harvey, who is no stranger to the stage, having already won an Ivor Novello, two Mercuries, 8 Brits and 7 Grammys. She also has an MBE for services to music. That's what we call quality! 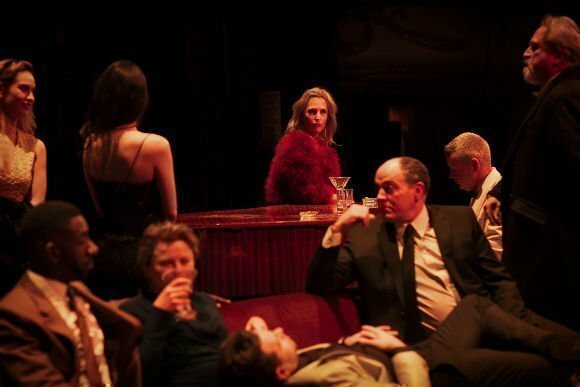 Gillian Anderson made her stage debut on Broadway in 1991 as Evelyn in Alan Ayckbourn’s play, Absent Friends. 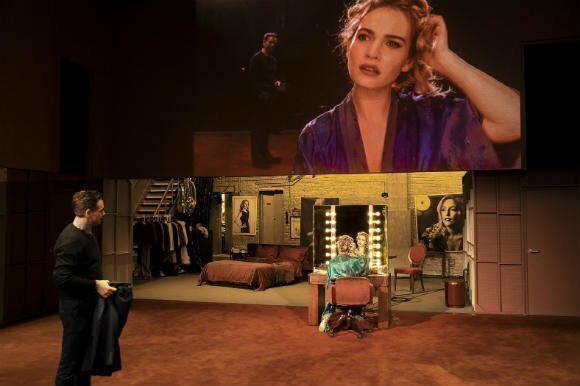 Lily James made hers in 2011 as Taylor in Vernon God Little at the Young Vic. Monica Dolan, the superbly acerbic Tracey Pritchard in TV's W1A, plays Karen, Margo’s best friend. And wonderful Sheila Reid portrays Margo's maid Birdie. This show is subtle and clever, a story designed for adults. If you're very young, you probably won't understand what's going on. To be honest, no matter where you sit, it's still an amazing experience because the cast is so immensely talented. The intensity is palpable and you feel every ounce of Margo's anxiety and jealousy. It's an amazing watch. Compelling storyline and brilliant acting by Gillian Anderson and several other cast me members - but I thought Lily James was trying too hard. I also thought the music was almost inaudible - probably by design but that’s a shame. I loved how live video was woven into the scenes and overall really enjoyed it. 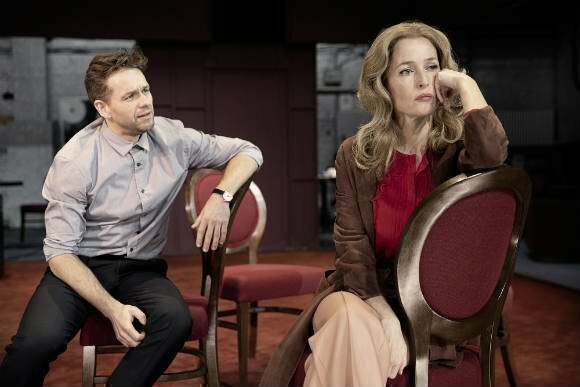 Gillian anderson is acting’s jesus !! All the cast were phenomenal. it’s an honour to watch gillian and lily act together!! Margo channing is hilarious. There are people just like Eve, who will do anything and use the most vulnerable person to achieve Thier goal. Seemingly an ordinary story, becomes a deep psychology study of every I guess human being. Every- because I believe we all have the same problem what Margo had, but probably on a different level. It is a beautiful story about accepting yourself, with beautiful performances carrying the while performance. It is worth seeing! ( For me the reason I have decided to watch it was Gillian Anderson starring, and I would definitely see it again). The acting was very good. The reviews have been brilliant. However I felt that the production failed to deliver that feeling of underlying menace, the fizzle of the cunning shiftiness unravelling. We were sitting in the best spot to view all the details of the show intimately. 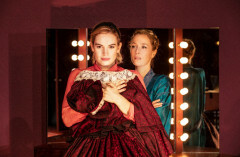 The costumes and set were excellent and the use of the bathroom and dressing table mirrors was wonderful. I really enjoyed seeing the facial expressions so clearly as so much of this play was about what was not said but thought. Gillian Anderson was fabulous with her nerves tight as a knot about to undo. Lily James turned her character from sweet and innocent to the devil incarnate. The whole cast has a role to play in such a perfect production. I will definitely go again. A true classic. Suoerb, believable acting from start to finish. No break, which makes sense - so be prepared! The main actresses were wonderful but the set design was terrible. I didn’t like the filming stuff, I came to see a play not a film! I also thought all the moving furniture around etc... was distracting. I’ve never seen a play where they spent more time physically setting up a scene than acting in it. And to make matters worse, the final result was terrible! It looked bad and didn’t make much sense. There’s this HUGE stage and its not being used. 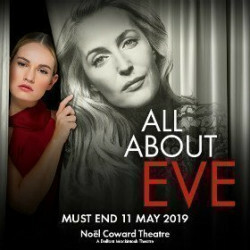 A stage version of the classic movie ALL ABOUT EVE has just opened at the Noel Coward Theatre starring Gillian Anderson and Lily James. I don’t recall another director influencing London and New York Theatre quite as powerfully as Ivo Van Hove has done in recent years. Ever since he took the capital’s theatre scene by storm with his radical cut and paste amalgamation of Shakespeare’s Roman plays, recently revived at the Barbican, producers have clamoured to sign him up to bring his starkly staged expressionistic perspectives on classics, new writing and even the David Bowie musical Lazarus. 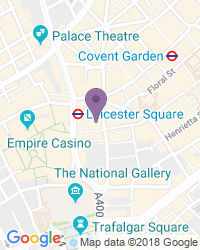 Use the search box at the top left of this page to search for All About Eve tickets availability.